Dulcinea is a culinary concept dedicated to Spanish confections featuring Spain’s most beloved confection the Churro. Churros are an elongated and crispier version of a cruller traditionally dusted with sugar and drunk with hot chocolate. The modern day churro has a hollow center and is filled with warm dulce de leche or chocolate sauce. 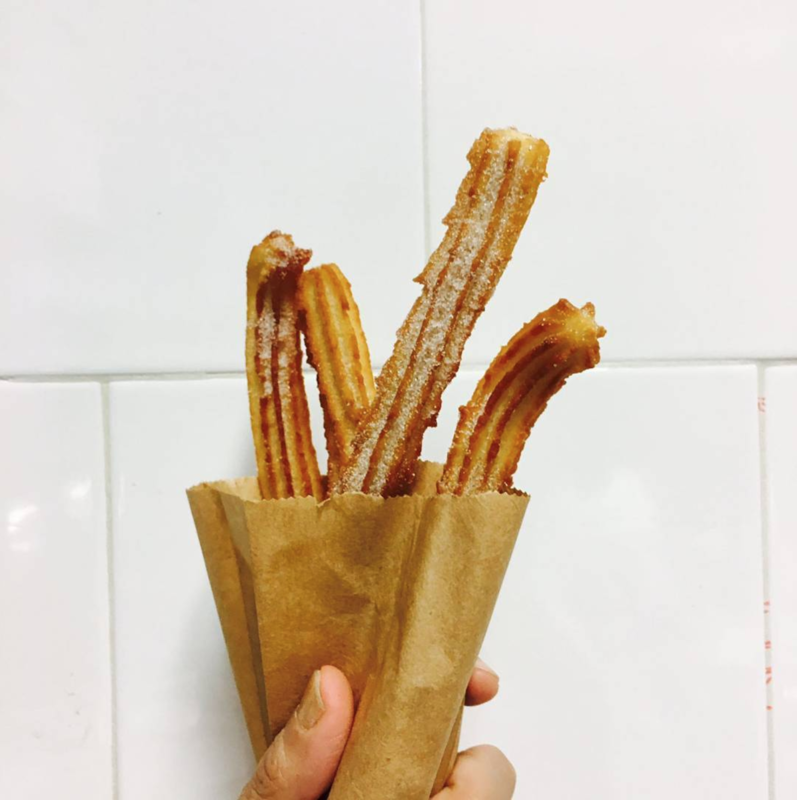 Both styles of churros are widely eaten in Spain, but it is the modern day take on the churro, found in Churreria’s throughout Madrid that created the desire to explore the churro in Spain. 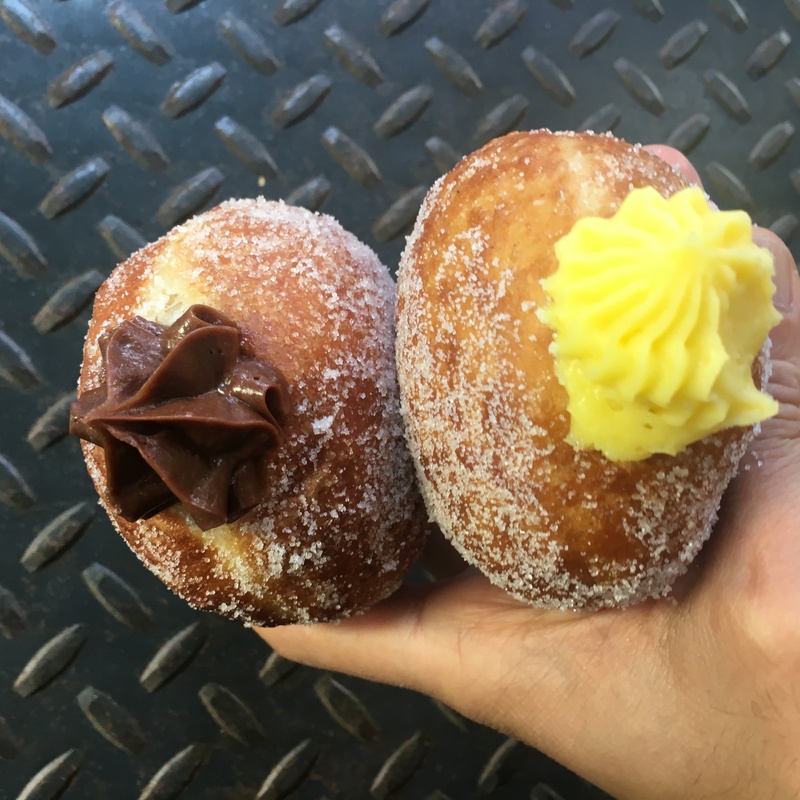 A few years ago our culinary team embarked on a churro tasting mission, aimlessly walking the streets of Madrid, sometimes roaming those streets into the early hours just to savor one more churro and or see one more Churreria (churro café/store). 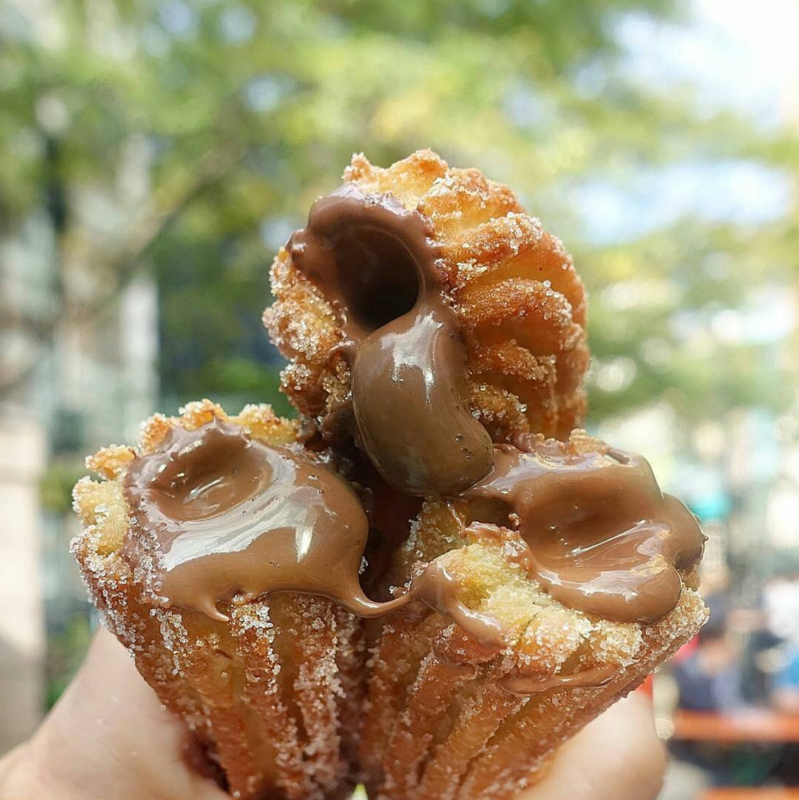 The goal was to experience the options and the essence of the Churro culture in Spain: to fully grasp and understand the popularity of the churro and the Churreria. After much exploration it was clear to the team that the churro needed to be brought back to the USA. 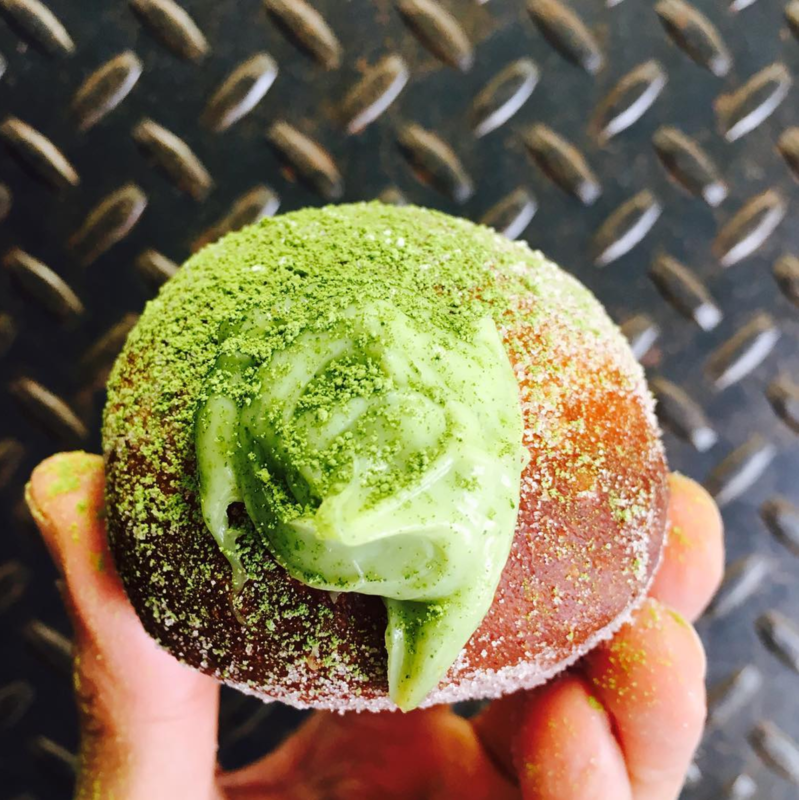 They sought to borrow from the phenomenon of the Spanish Churreria: concluding that the churro is the next best thing to the donut. And out of this Dulcinea was born. 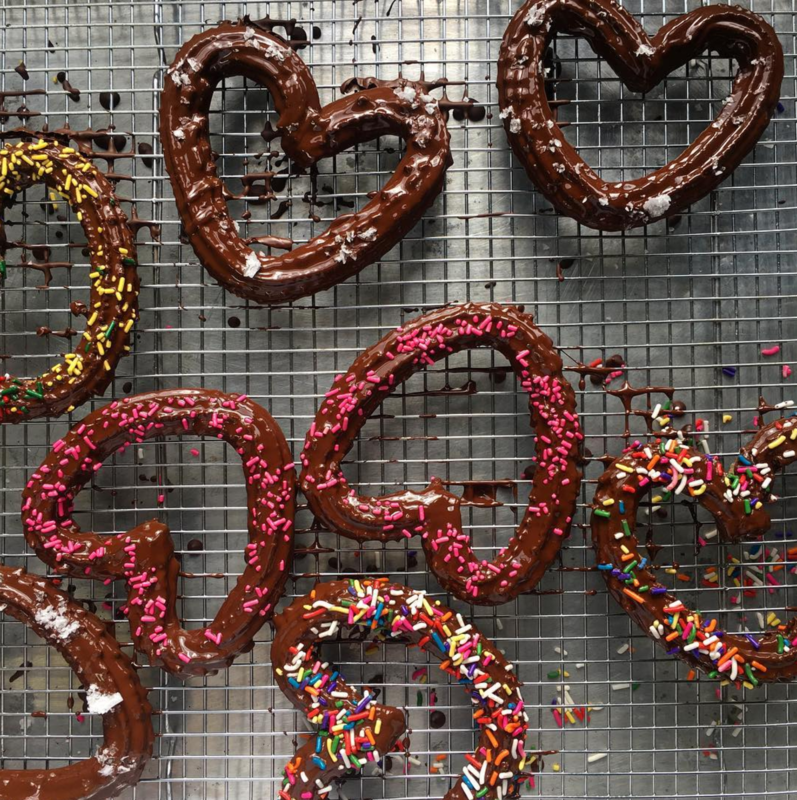 Our culinary team uses a manual churro machine that makes hollow center and commercial pastry fillers that allow us to fill our churros with a vast array of concoctions such as: nutella, passion fruit and dulce de leche just to name a few; and toppings ranging from hazelnuts, rainbow sprinkles and brittles. 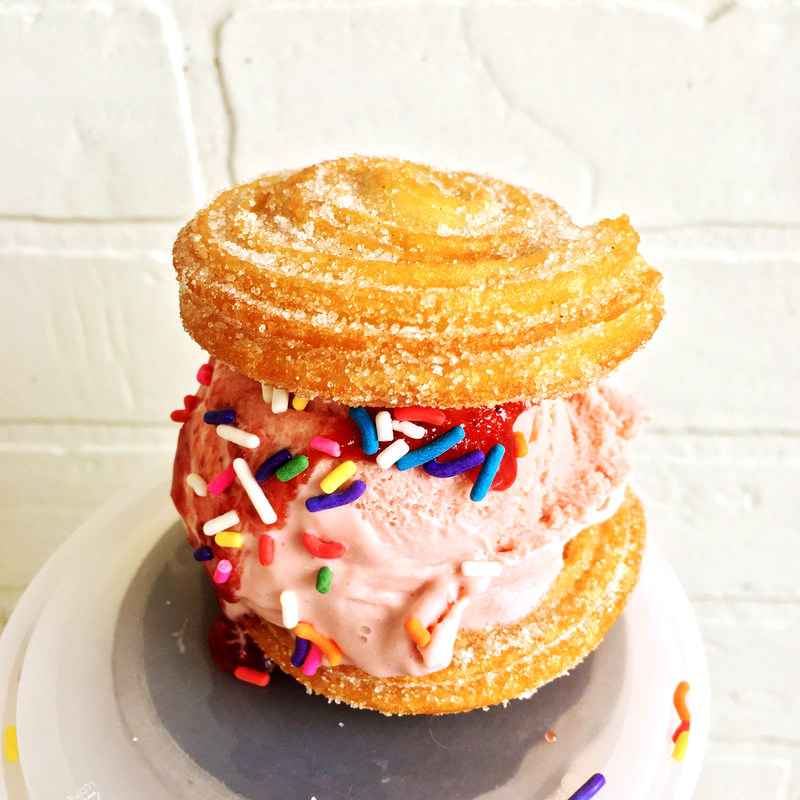 This year Dulcinea launches “Churro Ice Cream Sandwich” in outdoor markets in NYC where you will be able to get fresh made-to- order Churros.